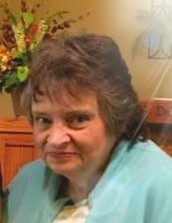 Judith “Judy” C. Orlando, 66 of Elkhorn, WI, passed away suddenly on Wednesday April 10, 2019 at Aurora Lakeland Medical Center of Elkhorn, WI. She was born November 4, 1952 in Cumberland, WI. Judy married Lawrence “Larry” M. Orlando on February 23, 1980 in St. Paul, MN. Judy owned and operated an in home day care for over 30 years in the Elkhorn area. She enjoyed volunteering for Relay for Life with the American Cancer Society serving on their committee with Larry and at Lakeland Animal Shelter. Larry and Judy fostered kittens in their home for over 20 years. Judy was an active member of T.O.P.S. Chapter 154. Judy is survived by her loving husband of 39 years, Larry, two daughters, Rachel (Kevin) Leshko of Cameron, WI and Melissa (Brian) Slattery of Evansville, WI, two grandchildren with one more on the way, Katy Leshko and Layla Slattery, and her brother, Al (Sharon) Larson of Barron, WI. She was preceded in death by her parents and brothers, Kenny and George. Memorial service will be held 1:00PM on Monday, April 29, 2019 at Haase-Lockwood & Associates Funeral Home and Crematory, 730 N. Wisconsin St. Elkhorn, WI. Visitation will be 11:00AM on Monday until service time at the funeral home. In lieu of flowers, memorials may be directed to Lakeland Animal Shelter, P.O. Box. 1000 Elkhorn, WI 53121. Online guest book at www.haaselockwoodfhs.com. There's still time to send flowers to the Visitation at the Haase-Lockwood & Associates Elkhorn from 11:00 AM to 1:00 PM on April 29, 2019.